Having a garage gives you the ability to use an extra room for whatever need you have. In any case, you need the garage door to function properly and work whenever you need it to. 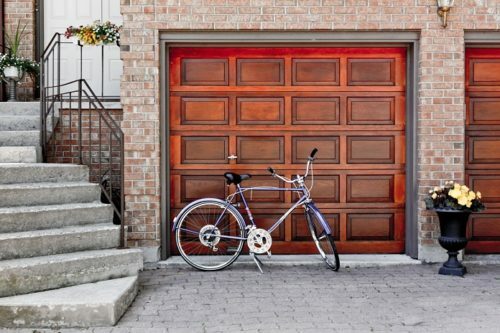 Living in Cedar Hill, TX, means you most likely live in a home that includes a garage, and the garage door in your home might require some maintenance from time to time. For any home owner in the area, it is recommended to know who to call in case your garage door malfunctions, gets stuck or for any other issue that might occur. Veteran Garage Door Repair Service is available for all of your garage door needs and requirements – we provide same day service and do our best to respond quickly and solve the issue even faster. Veteran has several teams, ready to respond to your call with service vehicles equipped with all the tools and parts needed for your garage door’s fixing. We employ the most professional and expert workers, who enjoy providing garage door repair services in Cedar Hill, always with the utmost efficiency. Our team will tend to your garage door with a smile on their face, and without causing any hassle for you. We provide a repair service for any kind of problem you might be having with your garage door, such as: door off track, bent track repair, noisy garage door repair, opener repair, bent section repair, broken spring replacement, gear sprocket repair, loose chain belt repair, broken roller replacement, broken hinge replacement and much more. We are able to deal with all of your garage door needs, and we provide all parts needed for you to have a perfectly functioning garage door at your home. Aside from fixing and repairing garage doors, we also provide and install completely new ones. We have many different collections, such as steel, wood and many other garage doors. In addition, we can sell you the parts you need if you wish to do the work by yourself, but we truly recommend trying our repair service, with 100% satisfaction guaranteed.